There are three ways the HRA can help you reach your goals of homeownership: The First Time Home Buyers Program, Community Revitalization Fund, and MURL. FTH participants must meet income and program guidelines. 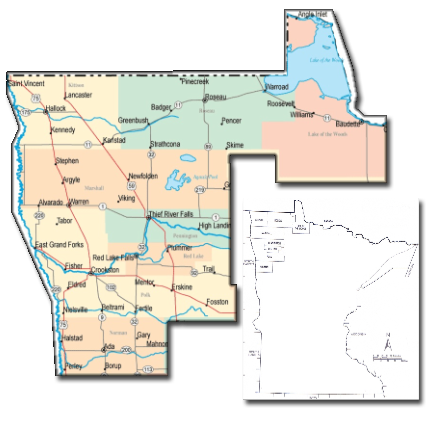 The HRA works with the counties of Kittson, Marshall, Norman, Pennington, Polk, Red Lake and Roseau. Funding for the FTH program is made available annually by the Minnesota Housing Finance Agency. Please view this listing of local lending agencies. You want to contact one of the following lenders for further information or possible funding as a FTH. You may also contact your local bank to see if they have information available. If you have additional questions contact Charity at 218-309-0047. Low interest loans may be available through the CRF program in the counties of Kittson, Lake of the Woods, Marshall, Norman, Pennington, Polk, Red Lake and Roseau. This program is for persons interested in building new or buying existing homes. The intent is to assist local employers with another tool to attract and retain workers. Training can be a costly item and if we can help put someone in a home, they are more likely to stay in that community and with their current employer. Private and public investors pledge funds that are matched by the Minnesota Housing Finance Agency. Deferred loans and low interest loans are available to assist qualified applicants with gap financing (down payment assistance). Often the only thing that is holding a prospective homeowner back from buying a home is the lack of a down payment. This program has assisted over 1000 families in purchasing a home in our area over the past 18+ years. NW MN Multi-County HRA administers the 8 county loan pool that is used as a revolving loan pool for future low interest loans. The loan pool is created from the low interest loan repayments by homeowners who have taken advantage of the CRF program. Since 1997 over 5.5 million dollars in grant and investor funds have been received assisting families with their housing finance needs. Ninety-three million dollars have been leveraged from the deferred loans and investor dollars. The program has been a tremendous asset to the economic development of our northwest region. Applications can be found here. For additional information on CRF you may call 218-637-2435 or e-mail barbara@nwmnhra.org . The HRA currently has 6 homes that have been sold under a Contract for Deed with no down payment and 25% of buyers monthly adjusted gross income. 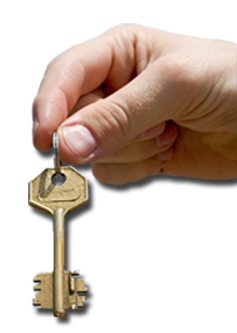 If homes revert back to the HRA they are advertised to attract eligible buyers. Acquisition is from the HRA on a Contract For Deed 0% down payment 0% interest, maximum of 30 years. Payment includes only principal plus escrowed Taxes and Home Owners Insurance. Payment is 25% of buyers monthly adjusted gross income. At risk homebuyer lacks the ability to meet mortgage industry underwriting standards for traditional mortgage financing.